Organizations are ultra-focused on creating exceptional experiences for their customers. The problem is, customers don’t think in terms of singular interactions. They actually view their relationship with a brand as a product of their experiences – which is why it is imperative that marketers see things from the customers’ perspectives, and should seek to better understand every facet of the customer journey. 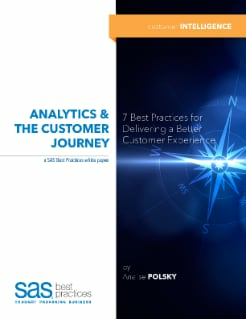 This paper provides seven best practices that will help you become better at understanding the customer journey, delivering a more balanced journey, and ultimately improving each customer experience in the process.